Woman Arrested After Nail Salon Brawl, But What Did She Do Wrong? 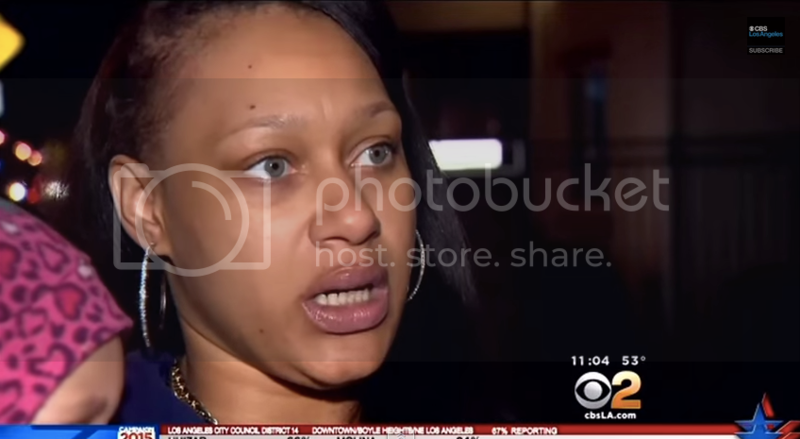 Home arrests racism Woman Arrested After Nail Salon Brawl, But What Did She Do Wrong? Tawana Davis took her daughter to nail salon in Lancaster, CA so that they both could get manicures. When she was refused service, things quickly turned violent. Owner Kathy Nguyen told CBS2 that she did not want to paint Davis' young daughter's nails, and that after Nguyen indicated that she has the right to refuse service, Davis would not leave the shop. Nguyen's security camera footage shows her reaching for, what she says, is a bottle of nail polish in Davis' hands. That's when the altercation became physical. When police arrived, Davis was arrested for allegedly stealing the nail polish. She maintains she did not steal anything and plans to file a lawsuit. And while the video might support Nguyen's claims, she does appear to be the aggressor. A separate video from a patron of the salon who was present at the time of the incident shows Davis asking Nguyen, who is grabbing her clothing, to let her go. Smh DO NOT I repeat do not go to excellent nail spa on the west side of Lancaster next Vallarta. They are very unprofessional, today a women and her one year daughter came to this nail shop to get matching nails for her babies birthday "witch is today" after this paying customer repeatedly asked for service "to paint her daughters nails" the owner points to a (we can refuse service) sign.. After the owner refused her service to this customer she threatens to call the police on her because she suspected this customer took some nail polish "witch this lady has two of the same brand nail polishes in her purse" the customer was very okay with waiting on the police to handle this situation but the owner on the other hand had it out for this women for no reason... The owner close the door to the shop and comes for this women while she has her child in her arms. My mom and I are just shocked at what's going on, my mom yells NO, NO, stop her baby, the owner continues to come for her while she's holding her babe, my mom says "give me the babe" and the lady hands her babe to my mom and proceeded to defend herself... NEVER ONCE did I see this customer hit the owner, the owner asked like crazy person as you can see in this video, it's kinda late about 1 minutes after this altercation begun... All this over a nail polish that was really the customers.. And guess what this innocent customer was arrested and placed in the back of a police car on her daughters birthday... Theses police officers are wrong, this was a racist crime.. Please share this smh this women deserve justice. The outcome of this situation is shameful, and while Ms. Davis will undoubtedly be characterized as an unruly Black woman, it's not clear that she incited the violence. On another note, isn't it a bit strange that she was arrested for stealing a bottle of nail polish?